If you find yourself in a hurry to get your next print project completed, check out these five tips. 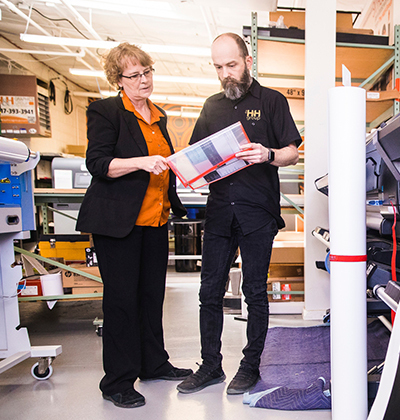 Whether you need high-end graphics or down-and-dirty quick prints, digital printing is capable of producing accurate, quality output with minimal setup cost and fast press times. From business cards to signage to books, digital print is a great alternative to traditional printing for a wide range of run sizes. For the majority of business printing, digital provides the best of both worlds when it comes to turn-around time and pricing. Be diligent about the files you submit for print. Ensuring that your files are print-ready before sending them to your print provider is critical to getting a job through the shop quickly. Files that are ill-prepared will result in delays as your print provider works with you on getting them up to par. If you don’t have the technical know-how to prepare good files on your own, you can always hire outside freelance help or ask your print shop for guidance. 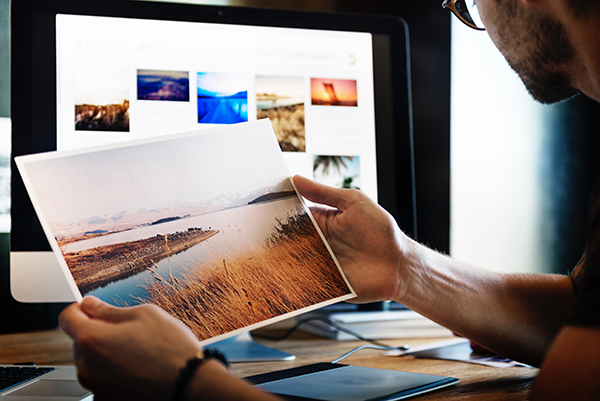 Making sure images are high resolution, fonts are included, and colors are correct BEFORE you send your job to print will help your job glide through the shop like a greased sled on a snow-covered hill. Whether you created the piece you’re printing, or someone else created it for you, be sure to proofread it carefully. And then proofread it again. Finding spelling or other errors after the job has reached the printer is bad for speed. It means the job will need to be pulled out of production to be fixed. In addition to the time it takes to correct the content error, you could lose your slot in the press schedule resulting in more lost time. As the print buyer, it is your responsibility to make sure that the content of your print job is correct. Having someone else read over and check your work can help safeguard against this type of delay. Taking a little time to make sure your content is accurate before it gets to the printer can also save the heart- and wallet-ache of having to reprint a completed job to fix an error. When small enough, files can often be submitted to your printer via email. Or your provider may have a dedicated file submission service available, like we do. If you need to send files frequently, ask your print provider to set up FTP access for you. This makes uploading new files quick and painless. Remember if sending native files like InDesign or Illustrator documents, you should always package or Zip these to include fonts and images. Zipping documents also helps eliminate file corruption in transport, another potential problem that could cause delays. Most tech-savvy print shops will be able to offer you a customized online ordering platform specifically tailored to your business. We have one. We’d love to show you a demo site if you’re interested. This type of ordering can be a huge time saver. It offers immediate proofing options and on-the-fly customization. You can create business cards, forms, banners or whatever else you need right from your phone, laptop or workstation. Designate access to the system to anyone at your company authorized to place print orders. That in itself can save tons of time by eliminating internal back and forth communicating about details. If you want a manager to approve a job before it’s released to print, the online system can do that too. The H&H Group literally specializes in quick-turn print jobs. It’s our jam, our raison d’être. If you need something in a hurry and don’t want to sacrifice quality or pay exorbitant prices, give us a call. We’ll lavish you and your print job with the personal attention you deserve. And we’ll get that thing done for you lickety-split.